ALLAN, PETER JOHN, poet; b. 6 June 1825 in York, England, third son of Dr Colin Allan and Jane Gibbon; d. 21 Oct. 1848 in Fredericton. Peter John Allan’s father was chief medical officer at Halifax before moving to Fredericton in 1836 upon his retirement. Growing up in Fredericton, Peter John briefly attended King’s College but left before completing his degree. He then turned to the study of law. 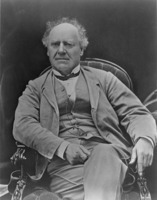 About the same time, having taken up, as he put it, “the amiable foible of verse-making,” he began to publish his compositions in the New Brunswick Reporter and Fredericton Advertiser, a local newspaper published by James Hogg*, who was himself something of a poet. Encouraged by the reception of his verses and rather bored by his legal studies, Allan began to plan the publication of a volume of poetry. He solicited enough subscriptions to underwrite the cost of publication and had completed the manuscript when he died suddenly on 21 Oct. 1848 at Fredericton, following a brief illness. His poems were posthumously published in London in the summer of 1853 by his brother, and entitled The poetical remains of Peter John Allan. Of knowing that thou never mine canst be. Influenced by the aesthetic concepts of the Romantic poets and especially by the style and versification of Lord Byron, Allan was able in his most effective poetry to break away from the moralistic attitudes and sentimental tone that had prevailed in locally written verse since the end of the 18th century. Allan was excited by the potential of man’s imagination, by the range of experience that imagination offered to human consciousness, and by the relationship between the natural world and ideal reality, which only the imagination opened to human awareness. In his best poems, Allan used this intense sensitivity to ideal reality to control the rush of emotion he felt when confronted with the sensual beauty of nature. This control gave an intellectual toughness to his verse that was missing in the verses of contemporary Maritime poets such as Joseph Howe* and Mary Jane Katzmann* (Lawson), who approached nature poetry by way of sentimentalism. The new note struck by Allan’s verse was probably noticed by few. It had an immediate if muted effect on James Hogg’s poetry, but it was not until the early verses of Charles George Douglas Roberts* and Bliss Carman* that once again intellectual perception and emotional sensitivity were to be found in so subtle a balance in the poetry of Maritime Canada. Peter John Allan is the author of The poetical remains of Peter John Allan, esq., late of Fredericton, New Brunswick, with a short biographical notice, ed. Henry Christmas, intro. J. M’G. Allan (London, 1853). Church of Jesus Christ of Latter-Day Saints, Geneal. Soc. (Salt Lake City, Utah), International geneal. index. New-Brunswick Courier, 28 Oct. 1848. New Brunswick Reporter and Fredericton Advertiser, 1846–53, esp. 30 Sept. 1853 which quotes the Morning Post (London). DNB. L. M. Beckwith Maxwell, The River St. John and its poets ([Newcastle, N.B. ], 1946). Thomas B. Vincent, “ALLAN, PETER JOHN,” in Dictionary of Canadian Biography, vol. 7, University of Toronto/Université Laval, 2003–, accessed April 24, 2019, http://www.biographi.ca/en/bio/allan_peter_john_7E.html.